Dennis Prager, Conservative columnist, radio show host, and PragerU, um, Headmaster? Principle? — I’m trying to find a non-triggering word here since even “founder” might trigger something à la the Founding Fathers) — also happens to love classic music. He has frequently conducted orchestras as a guest conductor as a way to help build the audience for classical music and raise money for the orchestras (he has never been paid). Given that reading, and given his conservative politics in what is an almost all-liberal or leftist echo-chamber of the arts, he’d most certainly be responsible for what I am sure is the imminent rebranding of the honorary maestro to, say, comrade. We used to carry Dennis Prager’s column here at this site — in fact he was one of our first columnists — because he’s one of the most respected, most honest, clear-headed, and most compelling columnists today. And of course he’s conservative. He still is all those things as is readily apparent, and we wish we still carried his column. 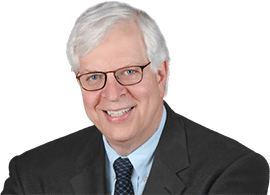 Visit his website: dennisprager.com and listen to his radio show. Read his columns at National Review and Daily Signal, other places.